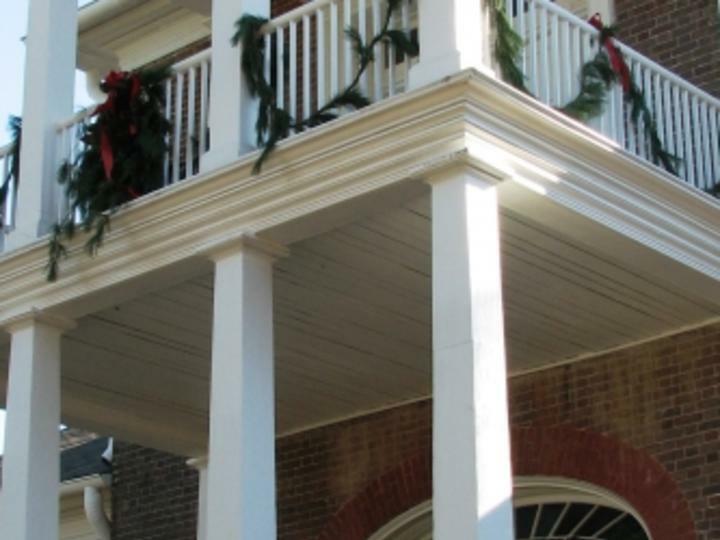 Decatur, Ala. – One of Alabama’s most distinguished antebellum homes, Belle Mont Mansion in Tuscumbia, Ala., will host an old-fashioned holiday celebration Sunday, December 3, 2017. A Plantation Christmas will welcome visitors to the historic home which will be decorated for an old fashioned Christmas and filled with period music and dancing, offering a glimpse into how Christmas was celebrated on a Southern plantation during the 1800s. During A Plantation Christmas, fresh greenery, fruit, and traditional decorations will fill the elegant 1828 mansion as vocalists and musicians present period music and dancers perform vintage ballroom dance. Costumed docents will be on hand to share the history of the house and to serve refreshments. Hours are 1 to 5 p.m. and admission is $8 for adults, $4 for children 6 to 12 years old and free for children under six years old. The annual event is sponsored by the Colbert County Historical Landmarks Foundation. Proceeds benefit Belle Mont and local historic preservation projects. Belle Mont Mansion is located at 1569 Cook Lane (County Road 53), approximately ¼ mile west of Highway 43 South in Tuscumbia. For more information on A Plantation Christmas, call the Colbert County Tourism and Convention Bureau at 256.383.0783 or Belle Mont Mansion at 256.381.5052. Belle Mont Mansion is an excellent example of Jeffersonian style architecture of the early American Republic. It was constructed in 1828 and is known for its high quality brickwork and contrasting wood trim. Today, it is owned by the Alabama Historical Commission and operated by the Colbert County Historical Landmarks Foundation. It is one of only five state-owned historic homes. It is furnished with period antiques from the Tennessee Valley and a number of portraits and other items original to the Isaac Winston family, who once owned the plantation.